Music was at the heart of the long-running PBS children’s television program, Mister Rogers’ Neighborhood. I was reminded of this last week as I watched the timely new documentary film, Won’t You Be My Neighbor? 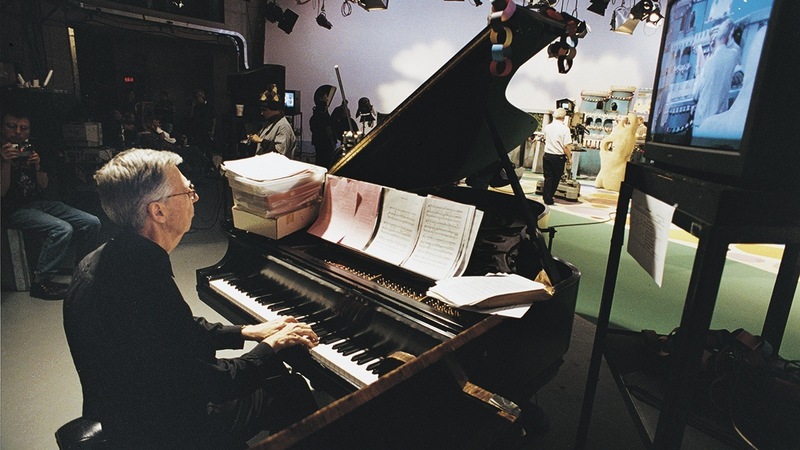 The film opens with a youthful Fred Rogers, seated at the piano, relating far-flung harmonic modulations to difficult adjustments in children’s lives. Rogers, a talented pianist, wrote all of the show’s songs. Dialogue between characters in the “Neighborhood of Make-believe” often occurred in operatic recitative, accompanied and improvised by the extraordinary jazz pianist, Johnny Costa, the show’s music director. Apparently, it never occurred to Fred Rogers that Costa’s jazz vocabulary might be too musically sophisticated for children to appreciate. This is a testament to one of Rogers’ most extraordinary attributes- the capacity to communicate with children with complete honesty, sincerity, and respect. This observation seems even more relevant today in a dehumanized world of smartphones, unending war, and looming artificial intelligence. Listening to music requires us to enter the quiet, reverent space cultivated on Mister Rogers’ Neighborhood. It’s time to reaffirm the importance of silence and listening, along with Rogers’ core message of unconditional love. Fred Rogers taught me so much about bringing joy, hope, and love to the world, and I’m delighted that audiences will have the chance to rediscover Mr. Rogers in the new documentary Won’t You Be My Neighbor?